Telltale Games is moving to Unity for its future titles, switching away from the aging engine known as the Telltale Tool. We’d been hearing that the company was planning just such a move for some time now, but a new report suggests a more specific timetable for the change, with Stranger Things being the first title to benefit from the new engine. The Walking Dead: The Final Season will reportedly be the finale for both the series and the tech which Telltale has been using from the very start. The proprietary Telltale Tool powered the company’s earliest games, from Texas Hold’em and licensed CSI games up through Sam & Max, even powering all the titles built on their post-Walking Dead formula. Dig into more upcoming PC games. Anonymous sources tell Variety that the upcoming Netflix-approved Stranger Things game will be the first title to run on Unity, and will be followed up by the delayed Wolf Among Us 2. Telltale’s engine change was all but assured, with job listings suggesting a switch to Unity earlier this year, and new CEO Pete Hawley promising a change to “proven technologies” alongside significant layoffs last year. Sources at the studio say they’re working to make the final Walking Dead chapter a “peak moment,” old engine or not, as the rest of the studio realigns and updates the process to work in Unity. The Variety report suggests that the second Wolf Among Us season was almost cut from the studio’s lineup, but is currently slated to launch in 2019, as will the Stranger Things game. 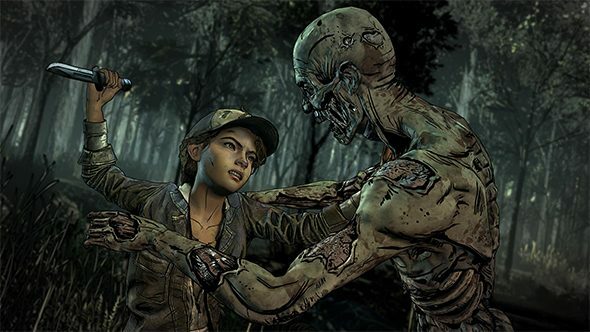 Telltale representatives did not immediately respond to a request for comment. We’ve seen Telltale build their games on the same engine for well over a decade now, and the flaws in that tech have only become more apparent as the years have gone on and the studio’s releases have become more prolific. The promise of a major shake-up in how those games are built makes the prospects for those upcoming titles even more exciting.